So you’ve planned your whole wedding down to the color socks your fiancé is going to wear on the wedding day. The cake has been tasted and ordered; the bridesmaid’s dresses have been tried on and selected; you even know the exact brand of mascara you want to use that morning. What else could I possibly need, you ask yourself? • Your venue/site/church coordinator shouldn’t be confused with a wedding coordinator.Although site coordinators can be a Bride’s best friend in accomplishing venue related items, the bottom line is that at the end of the day they work for the venue. A wedding coordinator that you hire independent of your venue works for you. They act as your spokesperson, to be sure that your requests are being considered, and your vision is being fulfilled to the best of their ability. You know how busy you have been planning the wedding? Think about how busy you’ll be the week before, with family and friends arriving on top of all the last minute details. 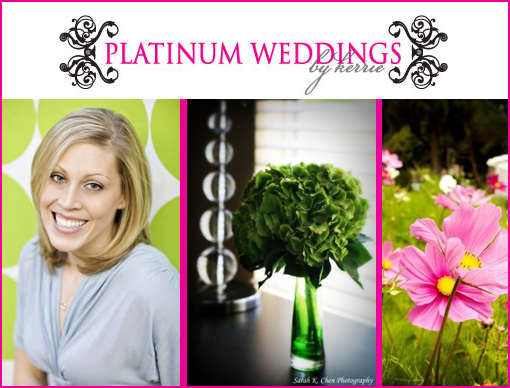 Many coordinators include in their packages the service of finalizing details with vendors the week before the wedding. This means that you won’t have to go calling around to let them all know what time to show up, where to be, and who to get in touch with should they have questions. Your coordinator will handle that, reeing you up to really enjoy the week before your wedding and all the excitement it brings. • Wouldn’t it be nice for all of your guests to actually be guests at your wedding?Brides often have family members and guests offer to help out with items that need coordinating the day-of. This is very sweet, and often a loving gesture; but do you really want to see your Aunt Betty running around in her fancy wedding attire an hour before the ceremony because the florist is missing? I didn’t think so. • I have yet to meet a Bride that wants to be working on her wedding day.On the same note, your vendors will need someone to contact in case they have questions that day (which they usually do). Without a coordinator that person, more often than not, ends up being the Bride. Hiring a coordinator for at least the day of allows you to be what you should be; the Bride, and not chained to a cell phone that won’t stop ringing. A wedding coordinator is the best way to ensure that the details you spent countless hours planning aren’t left by the wayside. A wedding coordinator will work with you to be sure that your wedding is everything you could hope for it to be. If that means making sure your family wedding photos are displayed on a heritage table, or putting out unique votives you thought would look amazing, your coordinator will do their best to be sure everything, down to the last detail, is included. with all the money that may be involved with your dream wedding, is it worth the risk to not having an experienced professional there to help out if things don’t go as planned? The additional expense can be worth the peace of mind alone.